Your faucets are responsible for controlling delivery of water from the pipes to you throughout your home. Anytime you do anything that requires water, from washing your hands or cleaning dishes to taking a shower, you rely on your faucets to function properly. If you are dealing with the annoyance of a broken or leaky faucet, turn to Plumbing and Drains Solutions, the best faucet installation and replacement company in San Diego. Faucets; what was once a relatively simple and functional device has become an increasingly complex part of a home or business’ decorating scheme. The same could also be said for toilets as well. Thanks to bathrooms and kitchens no longer being considered merely functional rooms but decorative challenges, homeowners and business owners alike are looking to put their own personal stamp on their home or place of business, and this sometimes includes the choice of seemingly complex faucet fixtures. In fact, many people look at bathroom fixtures as a quick and easy way to give their bathroom or kitchen a facelift, and with the hundreds of different faucet types and styles available, chances are that there will be something to appeal to everyone, no matter how picky you are or how tight your budget. 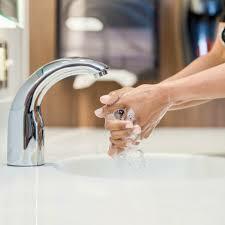 At Plumbing and Drains Solutions we can locate and install most any faucet product from any of the manufacturers available today, and do so in a timely manner so as not to interrupt the ‘flow’ of your home’s rhythms. Even if you choose to purchase the faucets yourself, don’t take the risk of do-it-yourself installation when the complexity of these fixtures seems to increase by the day; leave it to Plumbing and Drains Solutions to keep up with the latest installation techniques and meet all of your faucet selection and installation needs and answer any questions you may have. But of course, you may be perfectly happy with the looks of your faucets, but may just be in need of having one (or more) of them repaired, don’t hesitate! The courteous and efficient technicians at Plumbing and Drains Solutions can identify and supply all the parts needed for any faucet repair, as well as see to the needed repairs in a surprisingly fast time frame. At Plumbing and Drains Solutions our commitment to quality of service – even when it comes to the installation and repair of faucets for your home or business – is one of the things that has made us the top choice when it comes to all of your plumbing needs. Contact Plumbing and Drains Solutions at (619) 345-5550 to learn how we can help. Our San Diego plumbers are trained to handle the repair of all types of faucets. Whether your faucet is leaking, the seal has come off the sink, or you are dealing with some other type of issue, we can help. We have been in business nearly a decade and have experience fixing all types of faucets, from kitchen and bathroom faucets to laundry room and working space faucets. If you need faucet repair in San Diego, we are the right team for the job. There are many reasons why you may want to consider replacing your faucet. We can help you select and install the right model, whether you are investing in a bathroom remodel or your old faucet is broken. While it may seem that changing out an old faucet is something you can do on your own, it is important to trust a professional to ensure this process does not damage your plumbing system. Once the new faucet is installed, we will take the time to ensure there are no leaks and that any problems have been addressed. We want to ensure you are satisfied with the installation by the best faucet installation and repair company in San Diego and that the faucet is completely safe for use. Call us today for a plumbing service estimate from San Diego’s top rated plumbers. To make an appointment for faucet installation, call us today at (619) 345-5550.